At a recent Trust Board meeting, we were delighted to agree that our first major investment of Boost the Budget funds for 2018/9 would be used to help with the funding for young Dominic Bernard, on loan from Birmingham City FC. Boost The Budget, continues to help with some of the costs towards Adam McDonell – who we brought to ATFC initially on loan and has since become a full Shots player. 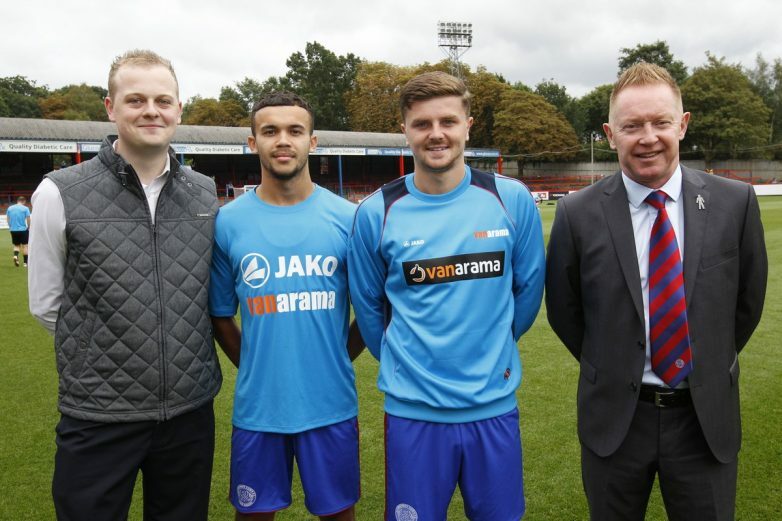 Adam and Dominic are pictured with Trust Chairman Tommy Anderson and manager Gary Waddock. Thanks to all those fans that contribute via the various schemes and allow us to bolster the Playing Budget!